In Pakistan, nearly every state-owned mega corporation is prone to corruption. This is evident through cases pertaining to the rental power plants, the Nandipur power plant, the Pakistan International Airlines (PIA) and Pakistan Steel Mills (PSM). Simply put, state-owned entities are the strength of the economy, especially for states that realise their significance. Widespread globalisation has already begun posing a threat to the domestic industrial growth of weaker states. After the fold of the civilian government in Pakistan during the 70s, Bhutto changed the foreign policy around. He shifted his focus from Russia and China towards the US due to their help with fighter jets during the Indo-Pak war in 1965. Despite Russia expressing goodwill and interest in building a healthy relationship with Pakistan soon after independence, Pakistan carried on valuing the US more. Bhutto reached out to Russia after two long decades, to resuscitate the offer which ultimately resulted in the establishment of PSM in Karachi in December 1973 – with the assistance of the Russians. In fact, PSM was envisaged to be a large corporation with great potential constructed to meet the domestic, and somewhat, foreign needs. However, the dream failed to materialise and the mill began deteriorating steadily. It has reached the point of ‘zero production-heat mode’ due to drastic gas cuts by Sui Southern Gas Company Ltd (SSGC) according to a report from June 10, 2015. Some critical units such as a galvanising plant, billet mill, bloom casters and billet casters have been closed for almost six years now. In light of the facts mentioned above, birds may have built nests in this Soviet-era equipment and stray dogs have found a place to sleep outside the abandoned plants, owing to its dormancy. As per the current scenario, the condition of the PSM has further declined. Employees have been partially provided with their salaries since December 2015 despite pledges of disbursement released on a regular basis. The question is; can employees survive without being paid on time or remain complacent while receiving delayed salaries? These unfortunate employees have been suffering from a delay in the disbursement of salaries leading to a rise in anxiety, since they are facing severe difficulty making ends meet. Meanwhile, PSM still awaits its fate. 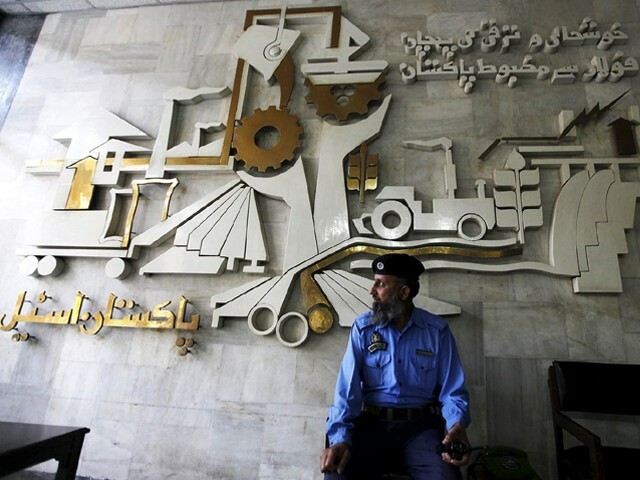 Given that the jobs of about 14,000 employees are in jeopardy, if the mill is brought to a close, it would subsequently raise the turbulent scale of poverty in the country and the Pakistani economy cannot withhold a larger number of unemployed people. The fundamental causes behind its demise are massive corruption, the bleak role of political unions, faltering management, few incremental salary programs, ill-motivated staff members, overstaffing, absence of accountability, mismanagement, weak finances, obsolete machinery and above all, varying degrees of institutional politicisation. Moreover, the government’s tepid attitude towards its revival cannot be ruled out. This paved the way for the revitalisation of the privatisation program, which was initiated during Musharraf’s era. With reference to PSM’s accumulated losses and liabilities–which stood at Rs26 billion at the end of 2008 – they have increased to about Rs350 billion, including Rs160 billion in losses and Rs190 billion in payable debt liabilities. All the while, a blame game between the PSM management and federal ministers ensued. Furthermore, steel imports in Pakistan could cost the country up to $2.2 billion at the end of this fiscal year, since demand for the commodity is on the rise amidst robust construction activities such as the China-Pakistan Economic Corridor (CPEC) project. PSM could derive more benefits from imminent projects. As a result, domestic iron and steel products struggle to compete with cheap imports from countries where manufacturers enjoy a good scale of benefits and use advanced technology. Keeping past events in mind, there is a dire need for the government to address grievances of PSM employees who are striving to survive without being paid. The fate of the mill needs to be devised swiftly. The periodic release of bail-out packages from exchequers will not and cannot provide a remedy to all ills. Lastly, retired employees have also not been provided with gratuities since 2013. In order to cope with the crisis from head to toe, the government should come up with a comprehensive solution that is conducive for all. After all, increasing aggression from the employee end could also serve as a factor of instability for the country, especially after the Panama Leaks.